Plaintiff's attorney Martin E. Levin questions witness Jonathan H. Avery, a real estate appraiser, during a civil trial Thursday at Plymouth County Superior Court. PLYMOUTH, Mass.— A real estate appraiser told jurors Thursday that eight Mattapoisett property owners lost between $5,000 and $60,000 in rental value due to oil contamination of their beaches caused by the April 2003 Bouchard Transportation oil spill in Buzzards Bay. Jonathan H. Avery, who testified during a civil trial at Plymouth County Superior Court, said he was hired by the plaintiffs’ attorneys to estimate the impact of the oil spill on the market rent of eleven Mattapoisett properties. The eight owners of those properties are part of a 1,100-member class-action lawsuit filed against Bouchard in September 2004. The class is seeking millions of dollars in damages from the spill. He started by researching the market rent of properties in Mattapoisett that are within walking distance of a beach. He compared that with the market rent for properties that require a drive to the beach. Through this analysis, he determined a 30 percent “beach premium,” which he defined as the amount of additional rent a property brings because it is in close proximity to the beach. Due to the oil spill, Avery concluded that the plaintiffs lost 30 percent of their potential annual rental value for as many years as the state considered their beach to be contaminated. For example, since it took six years for the state to declare Leisure Shores beach clean, Frank Haggerty’s property at 126 Brandt Island Road lost 30 percent of its potential annual rental value for six years, amounting to a total loss of $50,800, according to Avery’s calculations. 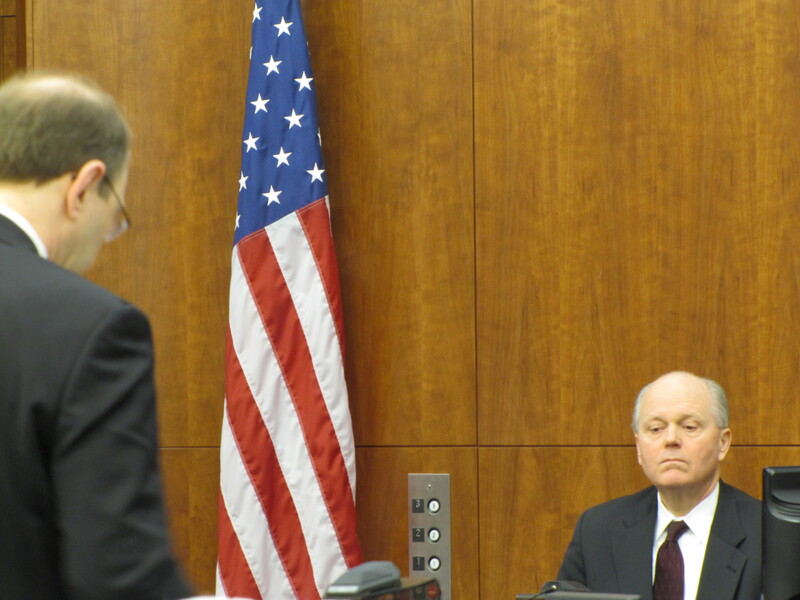 During cross examination, defense lawyer David G. Hetzel questioned the accuracy and methodology of Avery’s estimates for rental value. He noted that in some cases, the estimates were higher than the actual rent that property owners had received from their tenants. Hetzel also used witness statements to show the jury at least one example where a plaintiff had charged their tenants the same rent both before and after the oil spill, with no loss in rental value. Also on Thursday, the plaintiffs’ attorneys called as witnesses: Richard J. Hughto, a consulting environmental engineer; Margaret Churchill of 6 Avenue A (Pease’s Point); Georgia S. Glick of 19 Noyes Ave. (Shell Beach); Jeanne Schwamb of 4 Dyar Rd. (Shell Beach); and Daniele Bick of 37 Silver Shell Ave. (Crescent Beach). The trial resumes Friday, when the defense is expected to call its first witness.